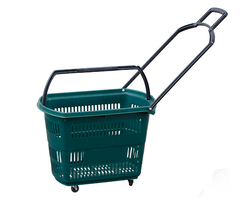 A wide range of Shopping Trolleys and Baskets manufactured by us are used for moving goods from one place to another. The stable design and double ball bearing castor head provides easy maneuverability to the trolley even when it is fully loaded. Our Shopping Trolleys are durable, wear resistant and rust proof and are ideal for the quick-shopping. Widely demanded in shops, malls and in super markets, these can also be custom designed as per the requirements of clients. 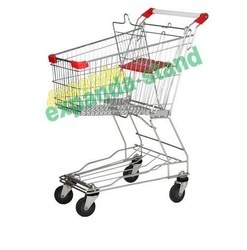 Expanda Stand offers new model of basket with wheels which are made out of virgin plastic HDPE & PP material. 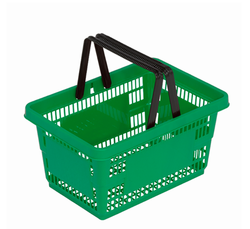 Our plastic shopping basket trolleys are widely used in supermarkets, hypermarkets, convenience stores, grocery stores, etc.